What an amazing weekend. Yes, it was fantastic, there’s no other word for it. All the usual fun and games you associate with a convention packed out with such an amazing community, stars of screen, stage and audiobooks, computer gaming from the good ol’ days of 16-bit, through to the latest rigs for playing Elite: Dangerous and onto the full spaceship simulation of Artemis. Great to see some amazing and inspiring cosplayers, many in costumes they had made themselves. Others featured iconic characters from film and games. It was a great honour for me to finally meet up with Toby Longworth (Star Wars, Hitchhikers and Dr. Who) who did the amazing voice work for the audiobook version of Elite: Reclamation. Drew Wagar and Toby Longworth. Simon Fisher-Becker’s one man show “My Dalek has a puncture” was fabulous and very inspiring. My son, Mark, who likewise has dyslexia, was particularly moved by it all. It was great to meet up with Commanders DaddyHoggy and Selezen (John and Dave) for the first time at the same time.We’ve known each other online since 2006, but this was the first time we’d managed to meet in person together. All Elite players from 1984. Michael Brookes has a new pet! Also apologies to Zac – he was assaulted by a Dalek driven by my one of my sons! Elite Commanders from 1984, rendezvous on Earth, Sol system. I got to meet Sean and Harry (from the Phoenix group – check out their fan-fiction with Salomé from Elite: Reclamation!) – both working before, throughout and after to keep the ‘con moving. 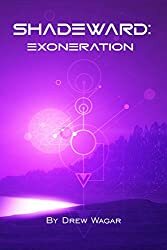 And, of course, we launched the first book in my new Shadeward Saga – Emanation, available on Amazon for Kindle and DRM Free from the Fantastic Book Store. 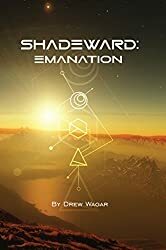 Shadeward: Emanation is on sale! Cast and crew of Shadeward: Emanation! Michael Brookes took to the QA panel to announce that Frontier are, once again, looking to licence a variety of works – including new books. I can lay any fears to rest that I will be looking to join in once we understand how its all going to work – we should have more details in the next few months. 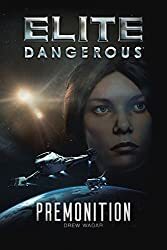 I hope to bring my own contribution to highlighting the amazing Horizons expansion, look at ways to include the activities of the player factions (some of which we’ve seen in the Elite: Reclamation fan fiction) and give Kahina (at the very least) another outing in the universe of Elite: Dangerous. Will there ‘soon’ (TM) be a sequel in the works? So as we say goodbye to Fantasticon 2015, a new horizon opens up. It does seem that in 2016 we’re, at last, going to write on, Commanders! This is really amazing news – I am super-stoked that I will get to enjoy your writing style in the context of the Elite universe again. 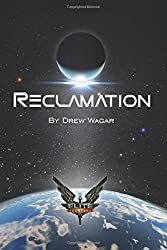 Reclamation was by far my favourite E:D novel, and whilst I have taken great pleasure from all of your writing, I felt that you totally nailed the vibe of Elite with your kickstarter book. This is a great day. I can’t wipe the smile off my face! Thanks Steve – great to know you’re excited – me too! Thanks for the feedback on Elite: Reclamation too – I worked hard to nail the ‘essential Eliteness’ of everything, so fabulous to hear you consider I succeeded. Stay tuned for news on a sequel to ER! Excited doesn’t really cover it at the moment. I have felt quite jaded with E:D recently, so I’d have to say revitalised! To say that you worked hard on Elite: Reclamation is surely an understatement. There were so many subtle little nods to classic Elite woven into the narrative that can only have come from someone who lived (and loved) the original game and Holdstock’s fiction. 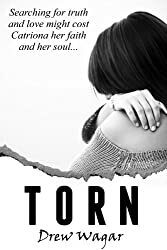 Your novel reads effortlessly from cover-to-cover and expresses the essence of pure craftsmanship – that of building something difficult and yet making it look and feel easy to use. I can give no higher accolade to you for your achievement.